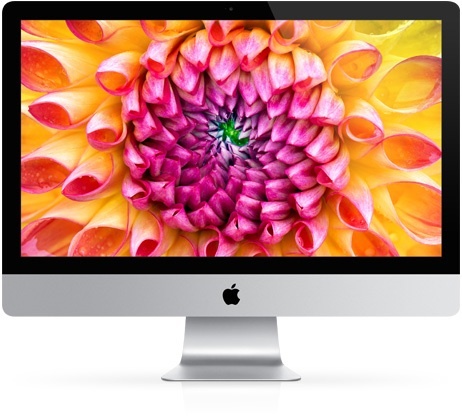 Apple today shared a support document that will be of interest to customers who own a late 2012 27-inch iMac with a 3TB hard drive and are attempting to upgrade to the macOS Mojave update. There is an issue on this iMac model that results in the following alert when attempting to install macOS Mojave: "Installation cannot proceed with Boot Camp configured." To fix this problem, Apple says that customers with the 2012 27-inch iMac with 3TB hard drive will need to completely remove the Boot Camp partition using Boot Camp Assistant before macOS Mojave can be installed. After upgrading to macOS Mojave, Boot Camp will not be able to be used to install Windows on these machines. No other iMac models appear to be affected by this issue. That’s oddly specific. Hopefully it can be resolved soon. How does this make any sense? Is Apple really listing the 2012 iMac as supporting Mojave then? This seems like a serious oversight. Not the only model affected. I have a 2013 iMac with Bootcamp on a Fusion drive and Mojave happily installed... it just broke my Bootcamp in the process. I seem to remember that BIOS emulation on EFI tends to not support drives over 2TB. Maybe that's the root cause? In that case, I wouldn't expect it to get resolved. It's odd that Boot Camp would still be using BIOS emulation, I'm sure Windows 10 prefers EFI. Boot Camp on 3 TB Fusion drives had to do a lot of voodoo. The start of the Windows partition had to be within the first 2 TB of the disk. High Sierra did some Core Storage tricks and put the Windows volume in the middle and had HFS+ partitions around it. Now if I owned this model i'd be pissed... I love bootcamp. No other iMac models appear to be affected by this issue. I wish. I ran into the same message trying to install Mojave on my late 2014 iMac (27", Retina 5K, 3TB Fusion Drive). What's going on?! Don't tell me I won't be able to use Boot Camp again after updating to Mojave!? Why not buy an external SSD and install it on that? You can use WintoUSB. If you don’t have access to a Windows machine download virtual box or VMware trial and give it a shot. It that doesn’t work then I guess these 2012 27” iMac users are SOL. Also, if you’re brave just replace the 3TB drive with a 1TB SSD or something. Unfortunately it’s a lot of work and you can end up damaging the machine if you f up like Linus did with his iMac Pro. 9to5mac has a good tutorial on YT on how to install Win 10 on an external SSD if you need instructions. This is probably why. The machine is probably too old to have an EFI compatible with Windows, and they probably don’t want to special-case the MBR emulation to move Boot Camp in front of APFS.